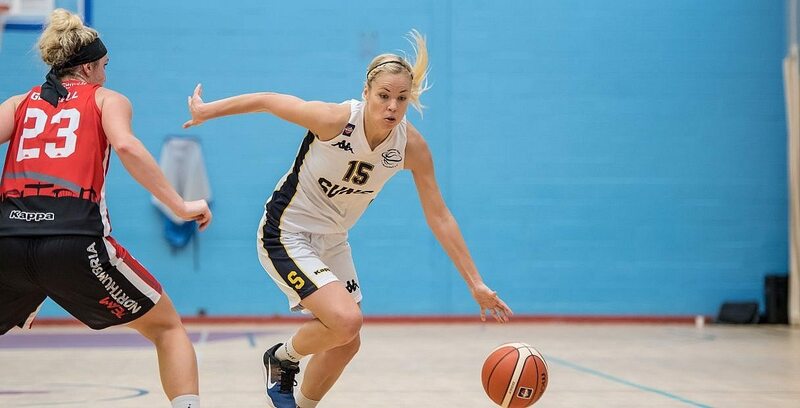 Sevenoaks Suns’ undefeated league record continued following an 84-45 away victory over Caledonia Pride. The WBBL league champions are now just one more win away from completing the 2018-19 Championship season with a perfect league record. Turning point – Two minutes into the second quarter, Suns lead by a whopping 19 points but a valiant 12-2 run from the home side brought that lead down to just nine with just over three minutes remaining in the half. However, Suns would take control knocking down an unanswered 13 points, including two big threes from Renee Busch with just 30 seconds of the half remaining, essentially sealing the game for the league champions. Key stat – Sevenoaks’ defense were dominant during the game, forcing 33 turnovers from Caledonia and converting 43 points on the offense. Game hero(es) – Judit Fritz and Tayani Clark combined for a big 33 point performance whilst Jessica Good also put up a key 13 rebounds for the Suns.